Pennsylvania has again earned a C- on the American Society of Civil Engineers’ infrastructure report card. The group said Pennsylvania earned C- on its last scorecard issued in 2014. That grade is just above the group’s grade of D+ for the nation’s infrastructure in 2017. ASCE’s report card for Pennsylvania assessed 18 elements: aviation, bridges, dams, drinking water, energy, freight rail, hazardous waste, inland waterways, levees, parks and recreation, passenger rail, ports, roads, schools, solid waste, storm water, transit and wastewater. Freight rail scored the highest with a B. Wastewater received a D-, the worst grade on the scorecard. Roads and bridges each received a D+. The average Pennsylvania bridge is 58 years old. The national average is 43 years old. 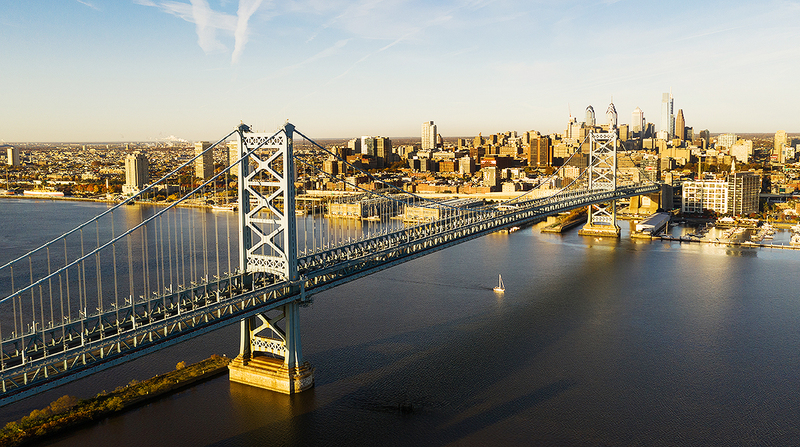 “We think that that just shows that there is still a definite need to be looking at addressing our infrastructure in Pennsylvania,” Cathy Farrell, co-chair of the Pennsylvania Report Card Committee, told Transport Topics. Farrell said that Pennsylvania has numerous load-posted bridges, meaning they bear signs indicating they can’t carry full legal loads. Load-posted signs can hamper freight movement because they force truckers to find alternative routes. “Trucks especially may not be allowed to go over bridges and they would have to go on a longer route and it’s going to take longer and they’re going have to spend more [fuel] and more of their time to be able to find routes that would get them from point A to point B faster,” Farrell said. The report recommends decreasing the number of bridges getting added to the “poor condition list” through regular preservation treatments with materials such as high-performance concrete. The report recognizes the benefits of Act 89, the 2013 legislation that provided money to road, bridge and transit projects. Also known as the Transportation Bill, it creates $2.3 billion annually for transportation. Act 89 supported 2,600 transportation projects that are either in progress or have been completed, according to the report. However, the legislation does not provide enough to keep pace with aging infrastructure, increasing capacity needs and the improving fuel economy of vehicles. ASCE said Pennsylvania’s infrastructure needs will face a $7.2 billion funding gap by 2020. The Pennsylvania highway system encompasses 120,000 miles of roadway — some 1,855 are interstate highways. Freight movement is important for Pennsylvania. According to the report, truck traffic accounts for more than 34% of the travel on Pennsylvania interstates, which is more than double the national average. The report states that roads will need to be built with more durable materials as freight movement, especially in the home delivery sector, increases. Pennsylvania, like many states, could benefit from federal aid. President Donald Trump said in February that he planned to spend $1.5 trillion on infrastructure using $200 billion from the government and funding the rest with private investment over 10 years. The proposal has not yet been advanced. ASCE’s report recommends increasing the federal fuel tax to offset state and local funding needs. Current federal rates, untouched since 1993, are 24.4 cents per gallon on diesel and 18.4 cents per gallon on gasoline.